If you're one of the enlightened few who believe all booze should be free, great news: A righteous victory has just been won in the skies. 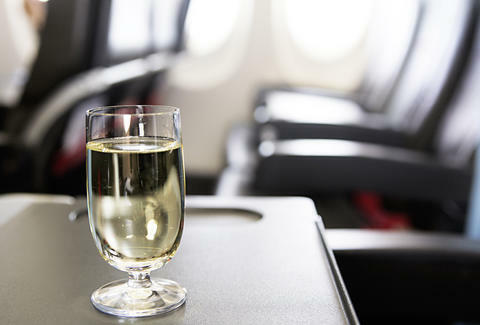 American Airlines announced Thursday that it's launching new shuttle flights between New York City and Chicago -- and most importantly, that these flights will have complimentary beer and wine service. Look for this new shuttle, which will run hourly every weekday, starting April 4. There will be 15 flights per day on the half-hour, complete with dedicated gates and expedited check-in. You'll be flying on a Boeing 737 between Chicago's O'Hare International Airport and New York's LaGuardia Airport. If you're feeling left out, remember that American already runs shuttle flights between New York, Boston, and Washington, DC. Unfortunately there's no word yet on how much the shuttle flights to Chicago will cost, but you can at least be sure you'll save money on booze. James Chrisman is a News Writer at Thrillist who has not finished that essay yet. Send news tips to news@thrillist.com and follow him on Twitter @james_chrisman2.